Transform your business by moving your infrastructure, applications and data into the cloud for a modern data centre that delivers the agility you need to seize new opportunities ahead of the competition. Data growth is increasing faster than ever – and traditional data centre environments aren’t ready to deliver the capacity and flexibility your business needs. New Signature Intelligent Cloud puts a modern data centre at your core, empowering you to lower costs, improve business agility and increase productivity. Freed from costly, on-premise servers your business will be ready to outperform. We’ll help you innovate, transform and differentiate. With New Signature you’re in expert hands; we follow a rigorous approach to technology modernisation and adoption by following a Plan-Build-Operate model which sets you up to meet the changing needs of your users and customers, while also enabling you to take advantage of packaged services that get you operational fast with rapid time to value. Agile, innovation-focused infrastructure – We’ll help you harness the cloud so you can operate with agility and reduce planned and unplanned downtime – ensuring your applications are available when customers need them. Data accuracy and protection – Accurate, timely and relevant information is essential to your business processes, customer interactions and decision making. We’ll help power your decisions with high-accuracy data and best-in-class data protection. Industry leading security and governance – We’ll create a future-proofed environment that scales with your business, helping you achieve regulatory requirements quickly and take advantage of the security, availability and business continuity that are built into the Azure environment. Back-up wrapped in – We’ll ensure your data backup functions are all handled by Azure – so you can plug those costs back into your budget. Simplification and rationalisation – By moving your data centre into the cloud, we’ll help you eliminate legacy support costs and get the best out of Azure, including efficient servers and lower power, management and storage costs. Expert delivery – With over 600 individual technology certifications, New Signature is a recognised expert in delivering transformative managed services, professional services, and cloud applications based on Microsoft technologies and platforms. 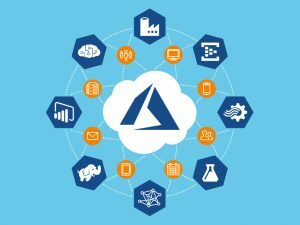 New Signature’s Azure Foundation service is designed to help you rapidly onboard and consume Microsoft Azure infrastructure services as part of your intelligent cloud solution. We’ll help define your architecture, create your Azure environment ready to host your apps, and ensure your business moves rapidly towards its goals.